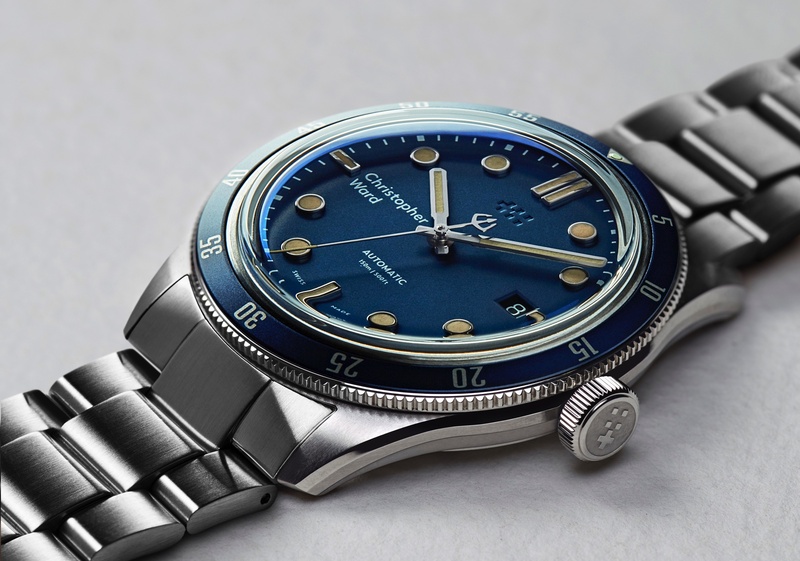 Christopher Ward has created a 100 piece limited edition timepiece with the an original piece of exterior paneling from the seventh Ferrari 250 GTO, which rolled off the factory floor on May 22, 1962. The Ferrari 250 GTO is the quintessential Ferrari; only 39 were ever built. One sold last year for $52 million. 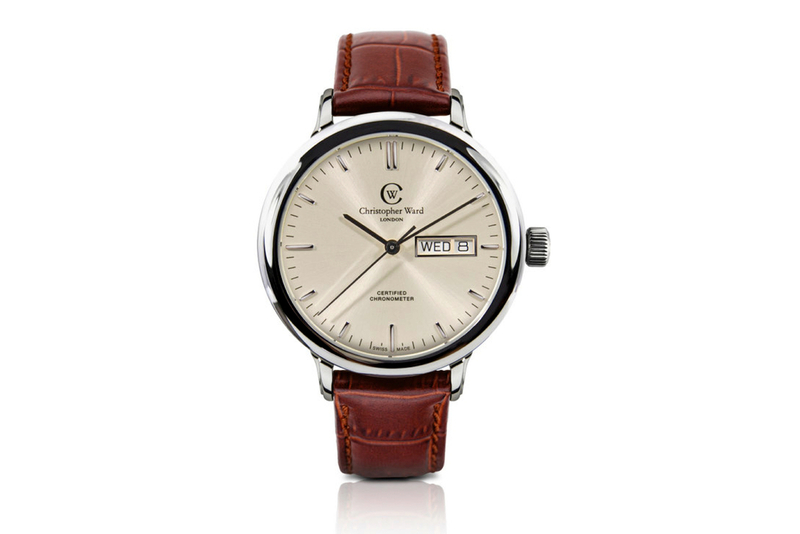 The watch is presented in a 42 mm by 11.8 mm stainless steel case. It weighs 80 grams. 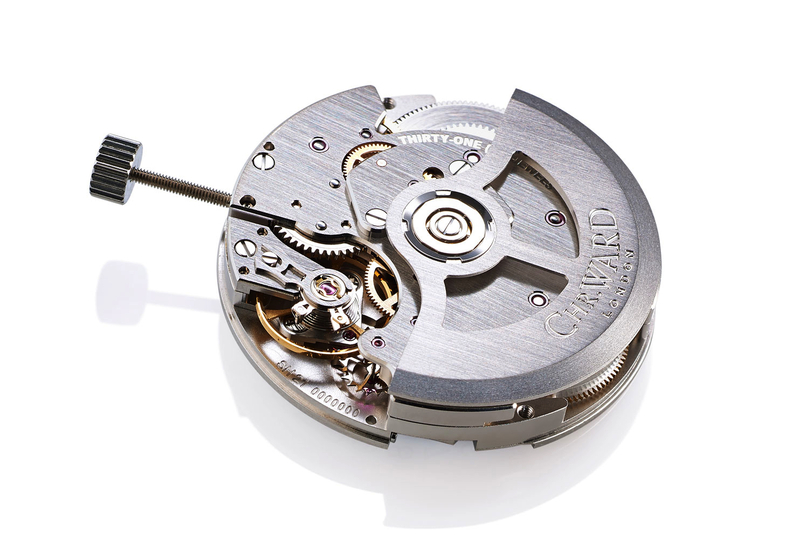 It is powered by an ETA 251.233 COSC-certified quartz movement that is thermo-compensated, resulting in very high accuracy. 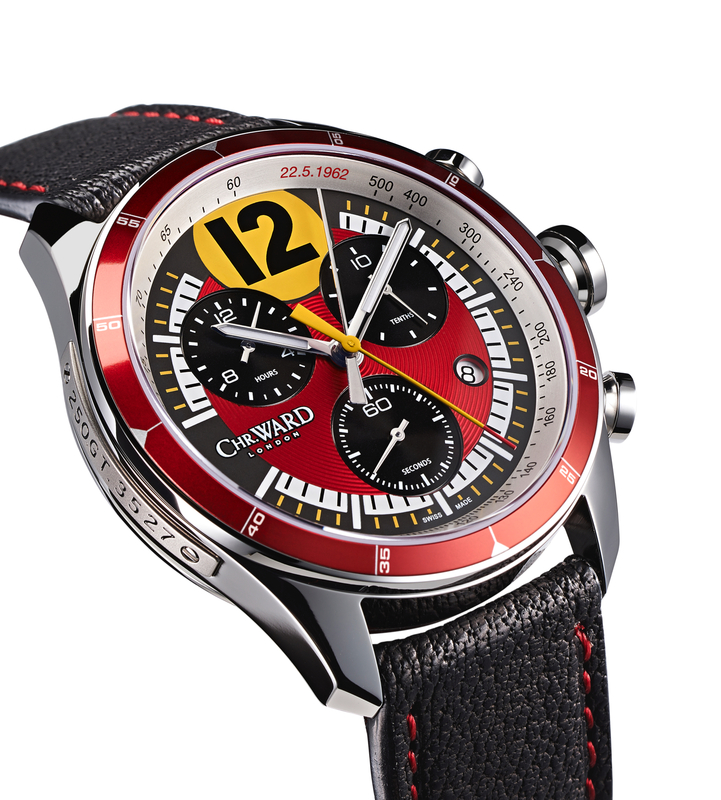 The dial features Ferrari red accents, and a yellow racing number marking 12 o’clock. It is protected by a convex sapphire crystal. The caseback has a disc of from #3527 Ferrari set under a sapphire crystal and steel back, with the number 6 visible in Ferrari red. The pre-order price is $2,950.